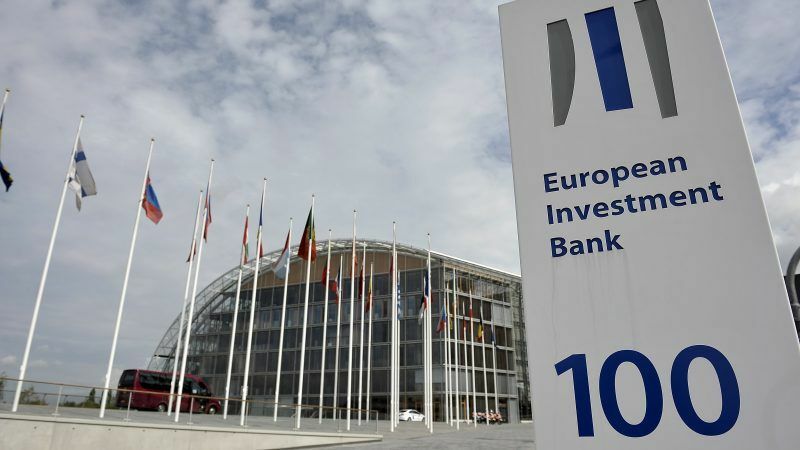 The European Investment Bank (EIB) celebrates this year its 60th anniversary this year. But the bank, founded in 1958, should now look forward and commit to becoming a more sustainable, accountable and transparent institution, writes Xavier Sol. This opinion piece refers to an open letter written by several NGOs to the Governors of the EIB, who are meeting in Luxembourg today (22 June). Xavier Sol is the director of Counter Balance, a European coalition of development and environmental NGOs. The history of the EIB is no monotone book. In the past 60 years, the EIB has gone through many changes and its very role has increasingly evolved into that of a macro-economic trend-setter. From a bank financing mostly Italy-based mega infrastructure projects in the name of a six-country European Economic Committee, it has become the largest multilateral lender worldwide, active throughout the EU-28 and in more than 150 countries globally. Since the financial crisis, European leaders decided to increase its capital twice, bringing the bank to an average lending volume of EUR 80 billion per year. The EIB has also been tasked with a pivotal role under the Investment Plan for Europe by the Juncker commission, and recently even presented the idea of creating a subsidiary institution to focus specifically on development issues: the “European Development Bank”. Nonetheless, the increasingly grandiose plans of the bank are not always matched by success, especially if success is to be measured as social and environmental progress in the name of the public interest. If the bank wants to be the protagonist of such changes, it needs to think twice about what its future should look like. The upcoming European elections, despite the uncertainty of the current European political landscape, are, together with the negotiations for the EU-budget post-2020, an important opportunity in this sense. Regardless of any brilliant idea for a new investment plan the next election candidates might put forward, seriously reforming the key investment tool of the European Union should be central to their agenda. Indeed, alongside main budgetary tools such as cohesion and regional funds and the CAP, the EIB is likely to be a core implementer of the next EU budget and especially of its financial instruments under the new InvestEU programme. In this context, it will be crucial to acknowledge that business as usual is no longer an option if EU public finance is to level its game and contribute to the Sustainable Development Goals. The “EU Bank” is, for example, well placed to become a genuine climate leader and align with the Paris Agreement. For this purpose, it should lead the way out of fossil fuels and towards reinforced support to energy efficiency and small-scale renewables with enhanced local and regional impacts. Simultaneously, a further democratisation of the institution is also necessary, as the EIB’s governance structure has scarcely evolved since its creation. Better equipping the member states representatives sitting in its Board of Directors to control the Bank’s management would be a crucial step towards more informed and accountable decision-making. The European Parliament and Court of Auditors should be awarded stronger competencies to monitor and orient the strategic directions, policies and operations of the EIB. Furthermore, efforts to strengthen public participation and transparency in the policy-making of the Bank should be enhanced, to guarantee that public interest is effectively taken into account. The EIB often claims to be a truly socially and environmentally responsible lender, despite the limited attention it pays to the human rights impact of its operations and to the implementation of its “zero tolerance to fraud and corruption policy”. A more rigorous investment selection prioritising quality over quantity appears necessary to put its policies into practice. Torn between its dual-nature of being both an “EU body” under the Treaties and a bank, the EIB too often loses sight of the public interest and behaves as a commercial bank worried mainly about safeguarding its triple-A credit rating and getting its loans repaid, whatever the social or environmental costs might be. Today (22 June), the EU 28 Finance Ministers will put on their hat as Governors of the EIB and meet in Luxembourg to discuss the future strategy of the bank. On this occasion, one reflection should inspire the bank’s shareholders above all: the EIB cannot afford to be a bank of the past anymore.